Back in April 2014, Express Scripts, the largest manager of U.S. prescription drug benefits, warned that the cost of Gilead’s new $1,000-a-day hepatitis C drug was “unsustainable for our country” and threatened to boycott the drug when cheaper rivals entered the market. Six months later, Express Scripts is doing just what they said they would. 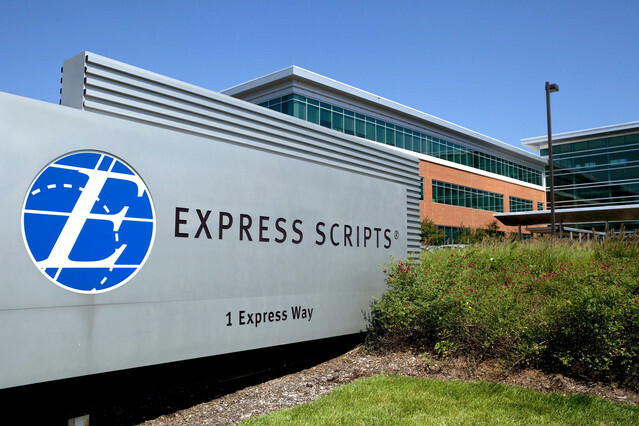 Express Scripts Holding Co., struck a deal with AbbVie, making Viekira Pak the exclusive option for genotype 1 hepatitis C patients covered by the Express Scripts National Preferred Formulary. Starting January 1, 2015, Express Scripts will exclude Gilead’s Sovaldi and Harvoni, and Johnson & Johnson’s (JNJ) Olysio from their Formulary. The AbbVie Inc. drug, known as Viekira Pak, was approved by the U.S. Food and Drug Administration on December 19. After unsuccessful discount negotiations with Gilead, Express Scripts reached an agreement with AbbVie for a significant discount in exchange for exclusivity. The wholesale price for AbbVie’s Viekira Pak is $83,319, a standard 12-week course of treatment. The Viekira Pak will replace Gilead’s drugs Sovaldi and Harvoni, which cost $84,000 and $94,500 at wholesale. Express Scripts’ independent Pharmacy & Therapeutics Committee has determined AbbVie’s Viekira Pak to be “at least clinically equivalent” to Harvoni and Sovaldi. While the Viekira Pak will be the exclusive option for patients with genotype 1 hepatitis C, regardless of symptoms or disease progression, Sovaldi, Harvoni and Olysio will continue to be available for patients who have already begun treatment regimens. Sovaldi will be available for patients with other hepatitis C genotypes who have advanced liver disease. AbbVie’s regimen includes several pills a day, taken at different times, while Gilead’s Harvoni (the most direct competitor to the Viekira Pak) is one pill taken once a day. Some patients on AbbVie’s therapy may also require ribavirin, another drug that can carry unpleasant side effects. Some may question the patient follow through with the above. One pill per day is a much simpler course of treatment. Upon ESI’s announcement of the news, Gilead shares dropped 12% in pre-market trading while ESI shares rose 2.5% and AbbVie shares climbed 5.2%. Historically, price drug negotiations have been between insurers/PBMs and drug manufacturers. This news may turn that equation on its head as negotiating leverage shifts and pharmaceutical developers & manufactures are made to compete against one another on price, not just drug efficacy. Price is trumping choice too, and more people are willing to go with narrower networks and narrower formularies in exchange for lower costs. This deal by Express Scripts may finally force pharmaceutical companies to look at pricing more closely.